​When I met Jiang Rongfang (Mandy) it was only a few weeks later that I was on my way to Nanning China to pinch her and make sure she was real! Falling in love was easy, starting a life together with someone from the other side of the world is an entirely different situation! I was in love, but what to do about it? 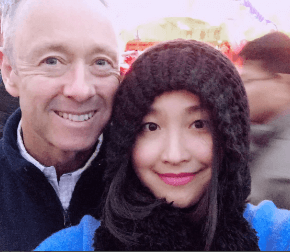 After bouncing through many pages of lawyers, legal professionals, visa service companies, and others all promising to be able to stream through the visa process for anyone anywhere, none of them had what Randy and Xiaoying with Buda Law Group had. An abundance of experience! They told us both what we could expect and prepared us for what was to come, setting us up for success! 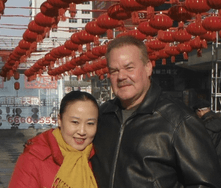 What sets the Buda Law Group apart from others that offer this service is Randy and Xiaoying's first-hand experience! They went through the visa process themselves and have supported other couples for many years. With their years of experience, they help navigate the minefield of the visa process. They provided us with exceptional service, they are friendly, answered any and all questions and with Xiaoying able to bridge the language barrier and help in Chinese, you will not find better support and service anywhere else! You can try but don't waste your time, contact the Buda Law Group with Randy and Xiaoying! And don't forget attorney John Buda is the Yoda to Randy and Xiaoying! When you have a sticky situation, John rolls in to navigate those dark waters! 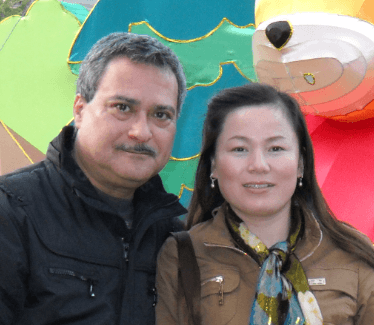 Working in China and marrying my now Chinese wife, we both had talked and decided that we wanted to spend our life back in the U.S. At that time, I started searching the web for immigration attorneys that could help us with the process. After checking out a number of sites, I came across China Marriage 101 and liked what I saw! We are soon to be moving back to the U.S., and are looking forward to enjoying this new chapter of our lives together! Thanks John, Randy, and Xiaoying! Thank you John, Randy and Xiaoying! Lin just received her passport back today along with her fiance visa. 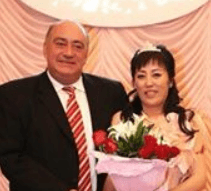 We have no hesitation at all in giving Buda Law group our recommendation for anyone thinking of applying for a marriage or fiance visa from China. For us, petitioning our visa and moving to the states together is such an important and life-changing matter, and we wanted a peace of mind doing it. I think that the visa process could potentially be simple, but it could also turn difficult for any different reason. With Buda Law Group by our side every step of the way, it was fortunately a breeze. They are professional in that they really know what they are doing; they are also personal in that they are always there to support us and willing to help. In both sense, you can definitely trust them! Are you currently using another marriage visa service? Did something go wrong? Are you RAPIDLY losing confidence with their services? Well I was, but luckily my gut instinct told me I needed to find someone new to help me out. With Buda Law Group you will get ANSWERS and EXPLANATIONS to your questions. They will know your case rather than an “agent” that has to review prior responses from other agents and get back to you. My previous agency basically just stopped after filling out the forms and provided little guidance on the supporting documents. Yes, Randy and John will fill out the required forms for you, but they will do much more. As with our case, the Buda Law Group provided honest analysis. They will tell you what you need and what you need to know. Xiaoying will take the burden off of your hands and communicate with your Chinese spouse directly. You won't have to be afraid you are not communicating properly something to your spouse because of your unfamiliarity with the Chinese government. Still unconvinced? Then take a moment and read Randy and Xiaoying's free e-book China Certified. Jun and I first met on E Harmony. I flew to meet her for New Years to see if we were as compatible as E Harmony indicated. We did well together, and I flew back for a second time. I found the Buda Law group mentioned on China Marriage 101 website, contacted attorney John Buda, and 9 months later Jun has her visa and we will be getting married in Feb 2017. Less than a years time and without any hitches or problems. Hi Randy! We passed the interview!! Well, Xiaoli did with coaching from Xiaoying. She is on her way home to Beijing. Thank you again for all your attentive organization and lead. Making it through is one thing, but making it through it with a pleasant experience is another. And that's what you did for us. You made it a pleasant experience. I live and work in China with my wonderful wife and her 15 yr old son. It was decided that our son needs to attend a good school in California, so it was time to file a CR1/CR2 and apply for the green cards. We were very hesitant to file this paperwork ourselves for fear of making mistakes that would cause long delays. We decided that spending the money for John Buda's service was the right thing to do. These are the experts, this is what they do.. Well i have to say it was money well spent. From halfway around the world, i got first class service and with the help of Randy and Xiaoying and regular communication, rest assured our case was in the right hands.They answered all our question and made us feel at ease. We filed the paperwork on July 7th 2016 and got our interview and approval on Sep 12 2016.. Were coming home.. 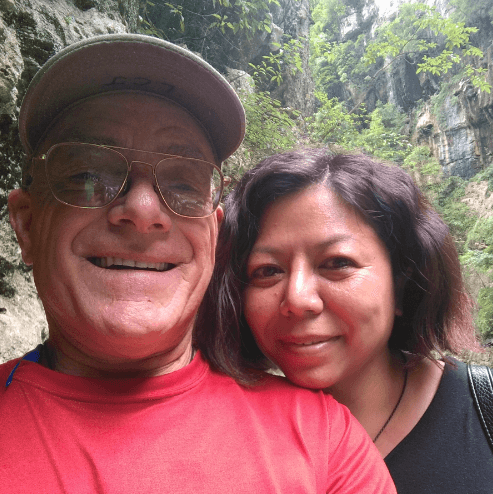 Thanks to John and his team..
After meeting Enxiang, in Guilin China, I returned home and started searching for legal advice to help me bring her to America. One of the first lawyers that I contacted wanted $90.00 for twenty minutes of conversation. Another lawyer asked for two installments of $2200.00 to file the petition with immigration. I knew that it was possible to file the petition myself, but I did not want something this important to become a "learning process". I asked myself what would be a fair price to retain legal help in this matter. Then I found China Marriage 101. First I noticed the price with 3 installments. 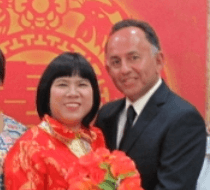 What impressed me more than the price was that both Randy Marsh, and John Buda of the Buda Law Group, had Chinese wives. I knew that they were more than a legal team, they were also sympathetic souls. Perhaps most important was Randy's wife, Xiaoying. My Chinese fiancee, Enxiang, does not speak English, and I do not speak Chinese. I knew that I would find comfort, and confidence, knowing that Xiaoying could communicate with her. I knew that my future wife would understand everything that she needed to do in China to make our visa petition successful. When I was in China the first time, I told Enxiang and her family that I would return in a few months and we would be married. I thought that since we would then be married that she could return with me at that time. When I returned home I found out that I knew nothing about the immigration process. If I was to marry her in China, the immigration process would not begin until I returned home, alone without her for the second time. Both Randy and John suggested that we obtain a fiance visa instead of a marriage visa. I agreed with them and tried to convince my wife to be, but I was having no luck. Randy's wife Xiaoying called her on the phone for a conversation that lasted almost an hour and tried to convince her, but Enxiang was steadfast. I cant thank Xiaoying enough for her effort. Her contribution alone throughout this process was reassuring and priceless. 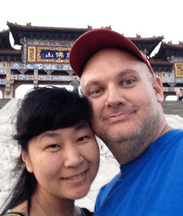 I returned to China to get married with the help of China Marriage 101. Set aside the immigration process, getting married in China is a complicated enough process. Randy and John prepared all of the needed documents and I was confidant and successful. When I returned home, we started the process of obtaining a marriage visa. They proved to me over and over that I had made the best choice possible to help us with this process. Randy is a hard worker and many times I would send him an email and he would respond within the hour. I recall one frustrating Saturday when I was compiling our email correspondence for our proof of relationship. I needed to upload these in the form of a PDF file, which I have never done before. Randy was trying his best to help me that afternoon through email exchanges. When I was sending him yet another email, the phone rang and it was Randy. Thank you so much for your help. 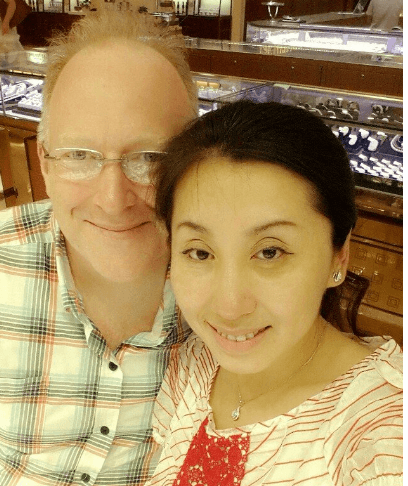 I met a beautiful Chinese girl and marriage was the next step. I looked online and did a lot of searching. The paperwork, the cost, and who to ask for help.The Buda Law team made it all so easy and were always just a chat or email away. 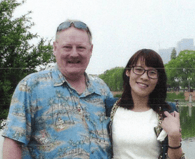 Jan was able to keep in contact with Xiaoying on a 24 hr 7 days a week basis. Right know Jan and I are sitting back in Arizona drinking cold ice tea watching the red sky as the sun is slowly setting behind the mountains. A big thank you to Buda Law Group for making a dream come true. John, Randy, Xiaoying, and Kevin have been very instrumental in helping my fiancee Wenhui and myself. They were able to provide the best information so we could both understand the process as well as organize and present our materials. Our communication and steps were very well thought out. I would like to thank all of the Buda Law team members for assisting our immigration process. :) Kudos. We found the Buda Law Group to be a major asset in completing all the time consuming/complicated paperwork needed to complete this process. The Buda Law Group was also able to provide several invaluable resources making things much less stressful going through the time period to get a Visa. 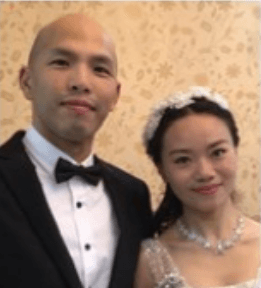 With the diversity of the group specializing in Chinese Marriage and Fiance Visas, both parties were able to speak in English/Chinese and break down the language barriers to accomplish tasks easier. 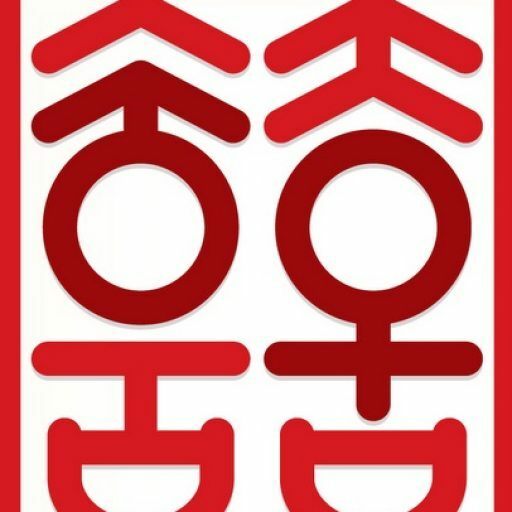 I would also highly recommend the affiliated China Marriage 101 Community website as a resource and information site. A big thank you to all the helpful people at the Buda Law Group and we would highly recommend them to anyone going through the Visa process. I very highly recommend the services of John, Randy and Xiaoying at the Buda Law Group. 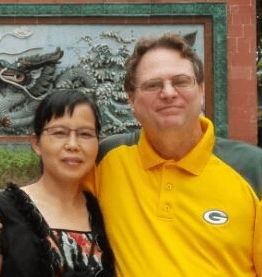 They assisted my Chinese wife and me through the CR-1 visa process from beginning to end. The small fee that I paid for their services was repaid many times over by them using their knowledge and experience in helping my wife and I get through this process. They had also recommended a hotel near the US Consulate in Guangzhou whose owner proved to be quite helpful as well. I felt like I had hired a Team of four Specialists and I think that the results showed that is exactly what happened. John provided the technical legal support and his tenacious persistence with the various governmental institutions saved me what could have been weeks of frustration. Randy assisted with most of the gathering and procedural processes. What can be a daunting, somewhat complicated process became fairly painless with the detailed steps he provided. All of my questions, concerns and fears were always answered promptly, professionally and with compassion. Xiaoying was invaluable in assisting my wife with all of her questions and concerns. Having a Mandarin speaking woman, who having gone through the same process herself and seeing it from the other side, was truly invaluable. She was available to Liya consistently throughout the process. Thanks Randy and John for all your help. You guys made this very easy for us and a special thanks to Xiaoying for helping Xiuling . We could not have done this without you guys. When Jenny and I decided to move forward with marriage we didn't have a clue as to what steps we needed to take to get the process in motion. While surfing the web I found the Buda Law Group. I was intrigued that both John and Randy had married Chinese women but the thing that I was most impressed with is Xiaoying's ministries*. How could I go wrong using the Buda Law group. My choice was 100 percent correct. If I had any questions, they were answered promptly. You both didn't mind me asking petty questions. Every phase went as smooth as possible including correcting the mistake I made on Jenny's' birthday. She will probably remind me many times over. All in all we have become good friends and I pray that we can meet in person in the future. I will highly recommend the Buda Law Group. Jenny and I thank you for your excellent service. About Xiaoying’s ministries: She possesses a strong Christian faith and if asked, has lead a few to her weekly online Chinese Women's Bible Study Group. Monday evening in the U.S., Tuesday morning in China via Skype. Buda Law handled the paperwork and submitting for our case. I didn't have to worry about the process because I knew Buda Law could handle any issue. Peizhi was always made in contact with Xiaoying and able to answer any questions with the process and interview. If you're unsure about the immigration process or you want the case handled professionally and thoroughly, I suggest Buda Law Group. John and his whole staff is wonderful. John took care of our fiance visa case nicely. Randy and Xiaoying Marsh are such nice people! They are patient, kind, and helped with all things along the way. 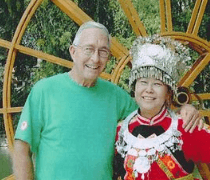 My Zhen talked with Xiaoying often to help guide her in China and Randy was patient with me. The Buda law group is top of the line! Thank you all for giving Zhen and I our life's together. When I set out to help Zhe get a Fiance Visa I was torn over whether I should try to do it myself or hire an attorney. The process was intimidating to me and downright frightening to Zhe. If you're like me, you're in love and you understand that the stakes are high. If you want the job done right, with the highest possible chance of success and in the minimum possible time, I highly recommend that you hire Buda Law Group. It is well worth the price and the service is great! Getting a Fiance Visa is a long, complicated and difficult process. With so many applicants, the US Government has no choice but to process applications in a very mechanized and dispassionate, impersonal way. If there is a mistake or a missing piece of information, your application will simply be rejected or delayed. This is just one reason you need Buda Law Group to handle your application. They know exactly what is required for a successful application and painstakingly make sure that every last bit of information is presented. Ultimately, you and your fiancee are the source of all information that goes into your application. A huge benefit of using Buda Law Group is that they give you (in English) and your fiancee (in Chinese) a very clear checklist for every step of the process. I don't know who among their staff developed their process but I know their mommy's are proud because it is a well oiled machine. 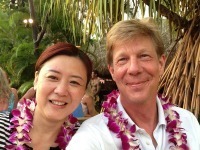 Randy and Xiaoying will be your primary point of contact for you and your fiance respectively. However, attorney John Buda is always just a phone call or email away. Everyone was very responsive at every step. All of my emails to Randy were answered within 12 hours and whenever it was time for the next action to be taken, it was always completed or in process within 24 hours. I'm not sure Randy sleeps! He is the definition of "on the ball". 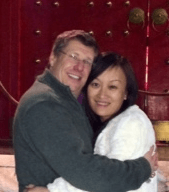 Another great benefit of using Buda Law Group is that Xiaoying skillfully and carefully walked my fiancee through the process in her native language. She did this through email and video chat via QQ. Xiaoying is great! Without her, I think Zhe would have been a frazzled bunch of nerves. The language barrier would have prevented me from being able to fully explain what was happening, what to expect, which documents to gather and which information to be sure to know during the interview. The peace of mind and confidence Xiaoying gave to my fiancee is priceless. Zhe went into the visa interview fully confident that she was ready. I could not be more pleased! Our visa application sailed through without a hitch and was approved on the spot during the interview. 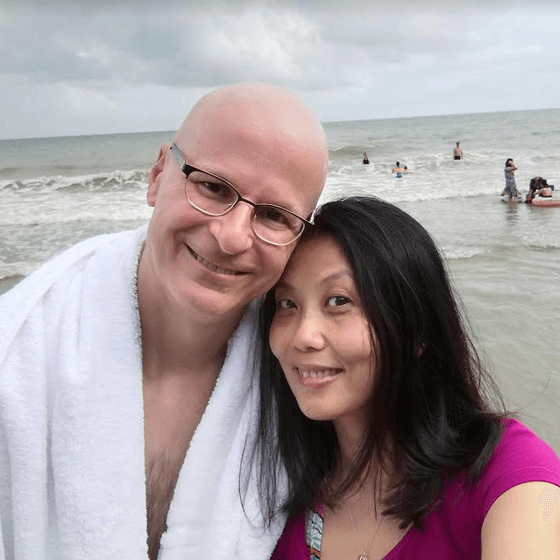 My fiancee and I are eternally grateful for John, Randy, and Xiaoying's professionalism, attention to detail and compassion throughout this life changing process. Choosing Buda Law Group paid off for me and I highly recommend them if you want the job done right. John Buda, Randy and Xiaoying are amazing! Louyi and I would have been lost without them! They were there any hour of the day for us. Having Xiaoying for Chinese support took all of the worries away. Louyi was informed and clear on everything that was needed on her end of the visa process. There are multiple procedures that needed to be completed by Louyi. Xiaoying was on the phone with her every step of the way. Thank you John, Randy, and Xiaoying! Hello Randy, Just was feeling so appreciative of all you did to help me bring Shirley to America. Just wanted to say thank you and god bless you and Xiaoying. A very positive experience. The Buda Law Group provided valuable insight and information on the process and helped at every step of the way. Not only with the application process but also in preparing Lucy for the consulate interview. Having Xiaoying connected with Lucy was very valuable. I would definitely refer someone to the Buda Law Group. John Buda and his entire staff were very helpful, supporting, and very communicative. 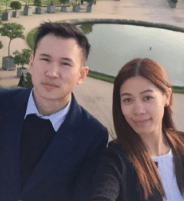 With help from the Buda Law team my fiancee Jin Ming passed the interview seven months after starting the process. Leading up to this date she had to deal with a frustrating Chinese bureaucracy, scary stories from friends and the internet, and the stress of our being apart. Throughout this ordeal John Buda and Randy were always competently responsive and understanding to my inquiries. Xiaoying was always there for Jin Ming in Chinese and on WeChat. We will never forget their help...and their kindness. "We filed our application on the 12th of December. On April 10, we received the Notice of Approval from the USCIS. Joyce had her interview on June 26th. Ten days later she received her visa in the mail. She joined me on the 10th of July. It has been quite a journey literally and figuratively. We appreciate the help that John, Randy and Xiaoying provided us along the way. I wholeheartedly recommend the trio for anyone embarking on this same journey."